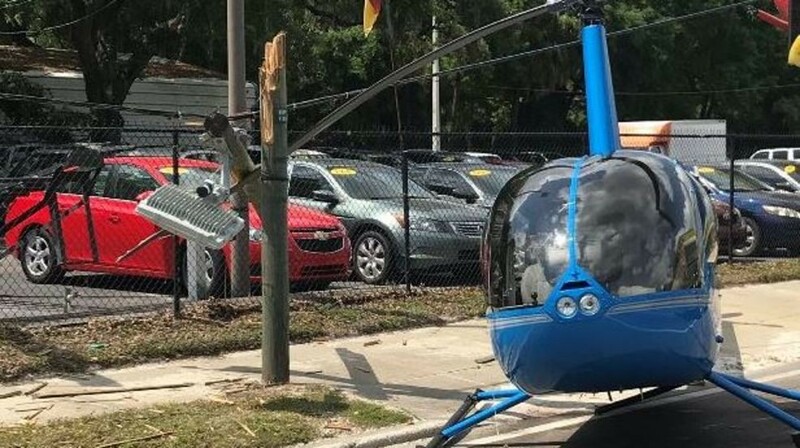 On Thursday, April 4, 2019, Deodat Hilton Gangapersaud was taken from his family in a horrific helicopter accident in Tampa, Florida. 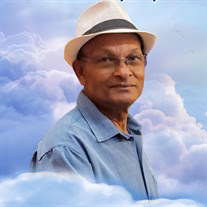 He was the son of the late Ganga and Tulia Persaud of Whim, Guyana. Hilton was born on October 14, 1946 in Whim, Guyana. He migrated to the United States in 1979 and resided with his wife and children in Maryland until 2005. Hilton worked at the World Bank in Washington, D.C for over 20 years. There, he was a special police officer known as Sergeant Ganga. In 2005, Hilton relocated to Tampa, Florida with his loving wife and four of his children. He came to Florida to retire early and do the things he loved: gardening, working on cars, raising livestock and being able to enjoy his family and dogs. Hilton was a busy body, he could never sit still and let time pass. This resulted in him going back into the workforce for an additional five years until he retired again at the age of 65. 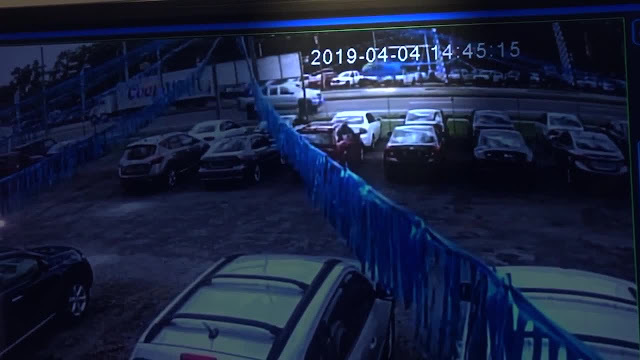 Even after he retired from the workforce for the second time, he ended up building his own mechanic shop from the ground up with the help of his sons. This mechanic shop was his hobby that he took great pride in. Hilton brought life and laughter into the lives of anyone he touched. He was a family man who many gravitated towards. There was never a dull moment with him. If he wasn’t telling you a joke, then he was dancing or singing with you. He didn’t have any friends because he considered everyone family. He was not only a provider, but also a giver. He would never let you leave his home without a gift. Hilton is survived by his devoted wife, Grace, of 38 years; along with their five children: two sons: Milton and Ryan; three daughters: Jasmine and her husband Richard, Neelomie and her husband William, and the youngest, Sharita; eight grandchildren: Camisha, Nicholas, Alexia, Joshua, Mariah, William III, Yolanda, and Zion Hilton; one great-grandson: Jaden; three brothers: Balchand, Baljiet, and Moti; five sisters: Lynette, Zeena, Liloutie, Calo, and Nadira; several cousins, nieces, nephews, and a host of relatives and friends. Hilton was preceded in death by his parents: Ganga and Tulia Persaud and brother Charlie Persaud. 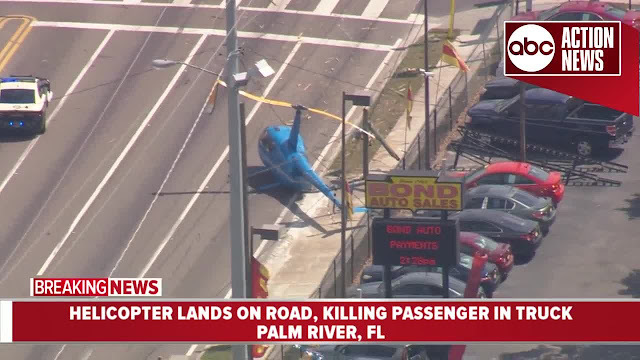 PALM RIVER, Florida — One person is dead following a helicopter crash in Palm River Thursday afternoon. 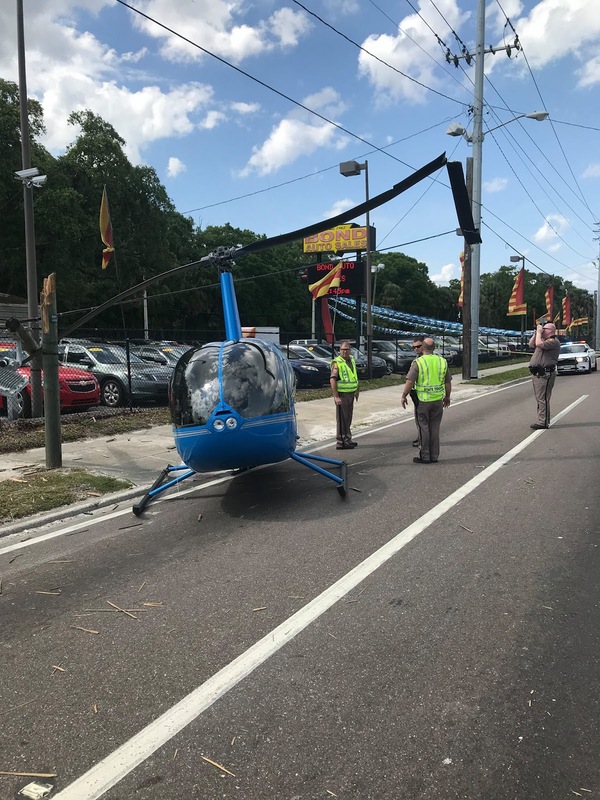 According to the Hillsborough County Sheriff's Office, a helicopter suffered a catastrophic engine failure and made a hard landing on 50th Street at Palm River Road a little before 2:30 p.m.
Bryan Messick, 39, was piloting the helicopter while Joshua Wells, 21, was co-piloting. 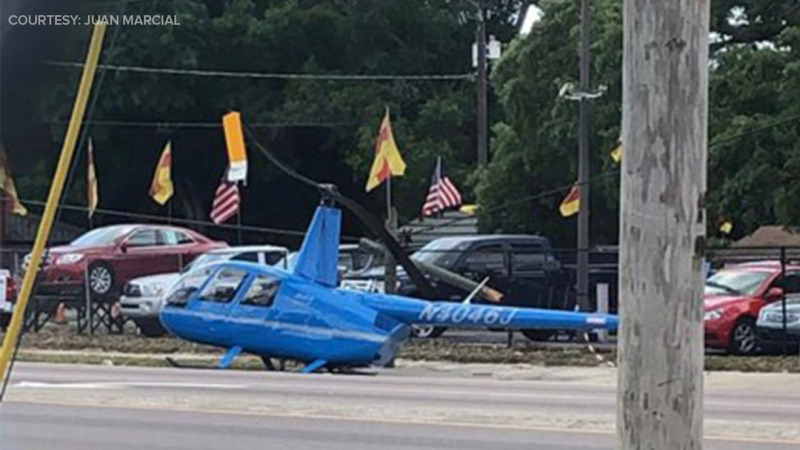 After the hard landing, one of the rotor blades came off, hitting a Chevrolet Silverado pickup truck that was carrying 72-year-old Deodat Gangapersaud and his son, 35-year-old Ryan Persaud. The rotor blade hit Deodat, who was a passenger in the the truck. 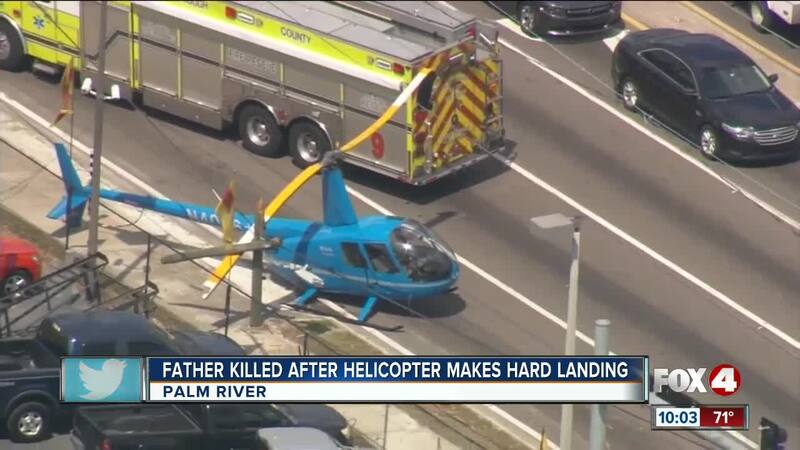 He suffered fatal injuries. 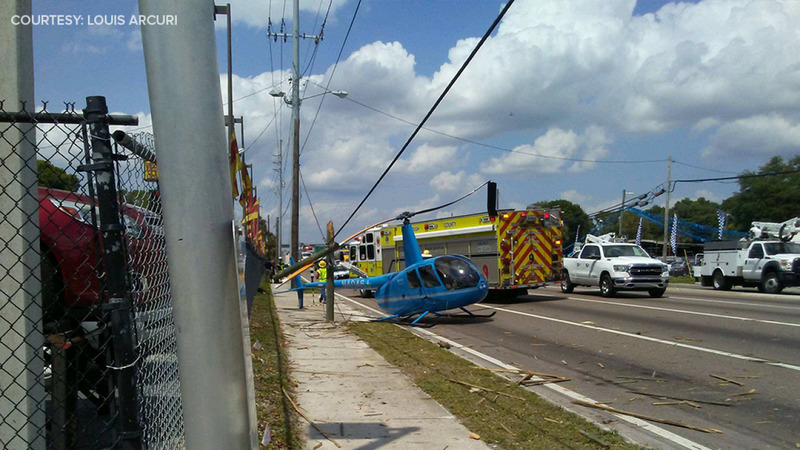 Deputies said Ryan, who was driving the truck, was transported to Tampa General Hospital. Officials said he suffered minor cuts. "You could start hearing the blades. 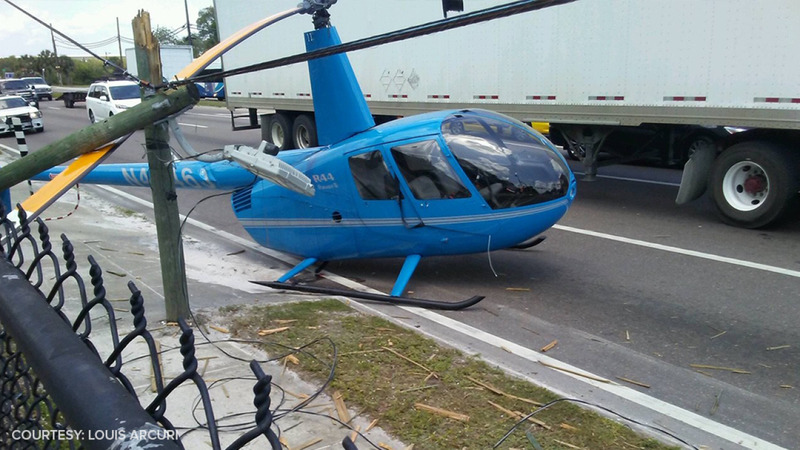 I turn around and see the helicopter about like 20 feet above the air," witness Alejandor Bou-Colon said. 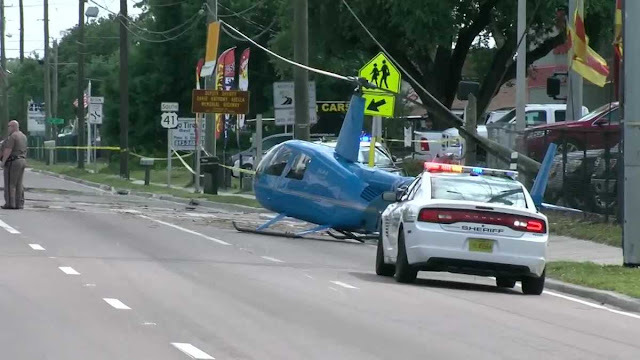 "It tries to crash land in that patch of grass. But, then it kept on sliding and sliding until it hit that pole right about there and cut it in half. It was very scary. It was really close. It could’ve been us." 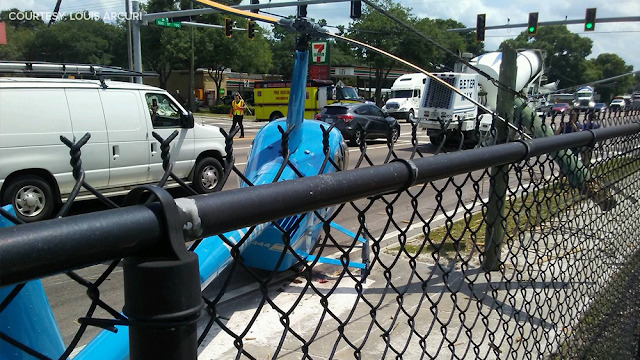 Witnesses couldn't believe the father in the truck was killed so far away from the crash site. According to deputies, the two people in the helicopter were highly trained pilots and had recently been in for service. 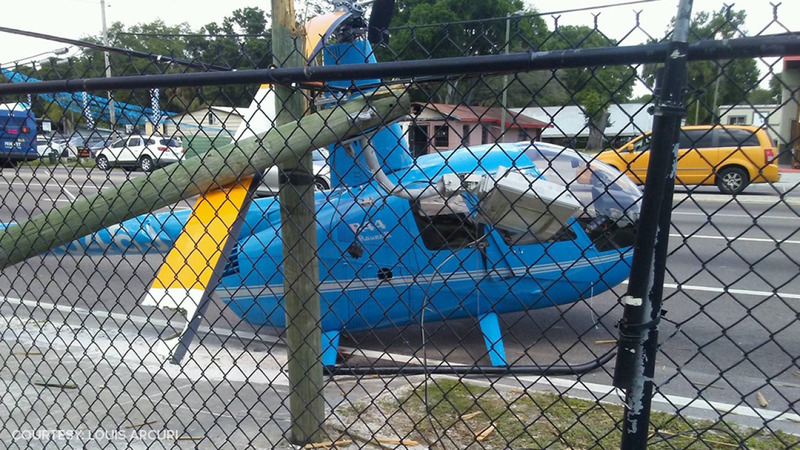 The chopper was on its way to Sarasota before pieces of blades fell off. Dan Boggs with the National Transportation Safety Board told ABC Action News reporter Michael Paluska the helicopter is brand new. "It’s only a couple of months old. We will be doing a complete and full investigation," Boggs said. The pilot told investigators he had a catastrophic engine failure. 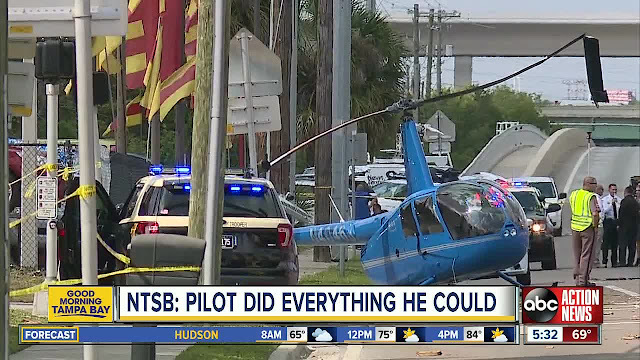 "The pilot did a great job he came in he was auto rotating which means he was using gravity to make sure the rotor blades were spinning fast enough," Boggs said. "I looked at the surveillance video there was a truck underneath him. He made sure he did not land on the truck; he was floating it as hard as he could til the truck passed by if this had been on grass he’d of probably stopped right where he landed. He really did about the best job you can do in that situation." 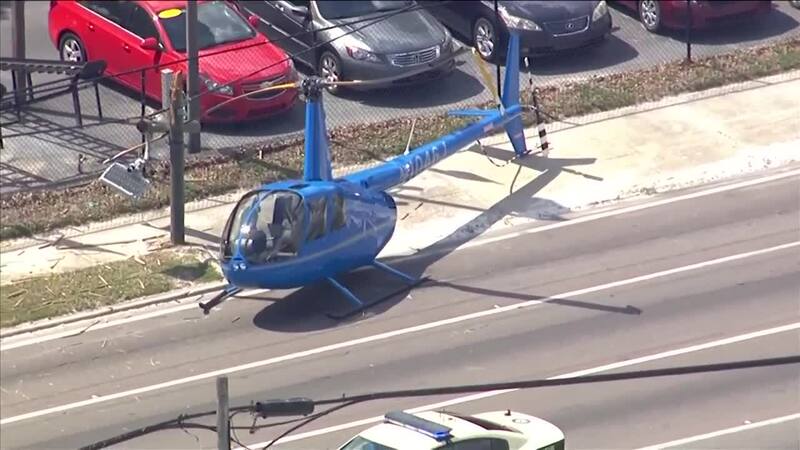 The helicopter is a Robinson R44 Raven II with tail number N4046J. FlightAware tracking shows the path the helicopter took and where it crashed. 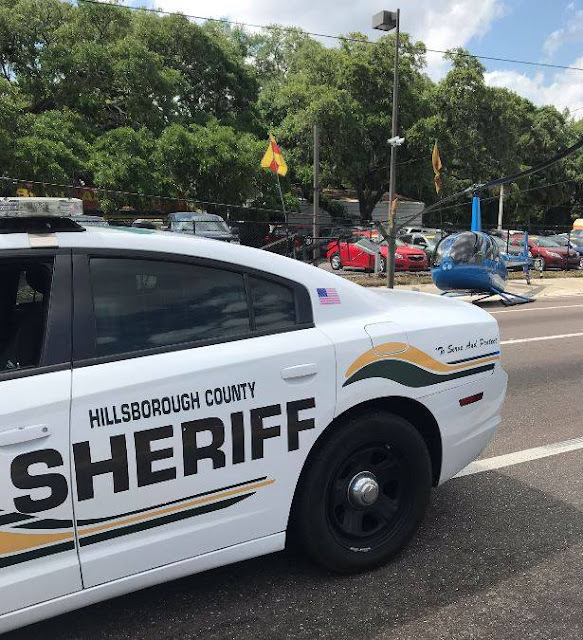 The National Transportation Safety Board expects to release a preliminary report of their findings in a couple of weeks. It will take at least 18 months for their final report. TAMPA, Florida — A helicopter attempting to make an emergency landing crashed onto a busy street on Thursday, sending one of its rotors flying into a passing vehicle, killing a passenger, authorities said.